March 1st, Murder U.S.A was published. Kristen Elise did a good job of bringing a number of us together to join her in presenting excerpts from our books. 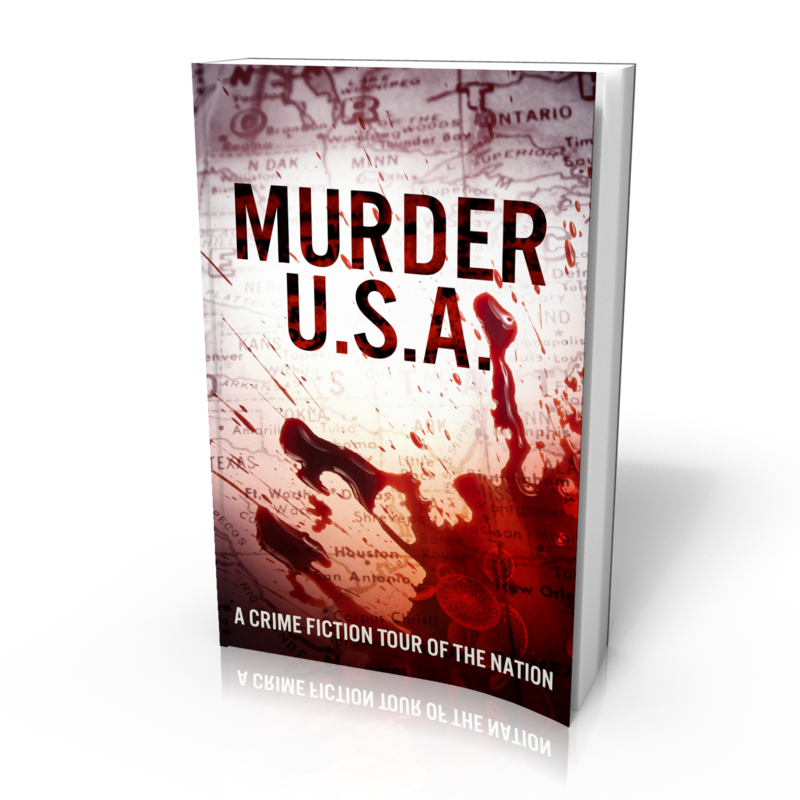 The books are set in places all over the United States. I'm honored to be included. When I first heard about this opportunity, I recognized a number of the other authors, most having been around the writing world longer than me. If readers want to taste what’s offered from a few specific areas of the country, they can pick and choose their area of interest. My setting is on the Mississippi Gulf Coast with Just Another Termination, a murder mystery. The buy links are below, only most are free or less than a dollar. 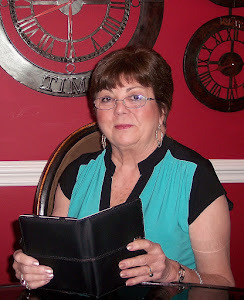 My next event, Life Out Loud, took place March 6th at Blackstone Restaurant just following my Mystery-Suspense-Thriller Nashville Writers Meetup critique meeting. 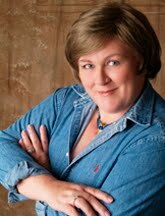 Life Out Loud is a Writers Meetup humor, wit, and shenanigans comedy show. The only claim I can make to participating is that I critiqued some of the short stories read at the event and hope I helped in making them so good. The co-organizers from the critique group, Kathleen Cosgrove and Lily Wilson were participants in Life Out Loud. Kathleen is also the co-organizer. The show was a real hoot. On March 12th I was a first time visitor to the Writers Who Kill blogspot with a topic on the ease of finding ideas for your story. In my post, I referenced something I'd read years ago about Lawrence Block and how one of his many books evolved. To my surprise, he appeared on the blog with a comment. By coincidence, he'd recently re-released the very book I'd mentioned. Block is such a big fish in the writing world, I'm sure no one would think we'd conspired to do this. I was just taken aback. 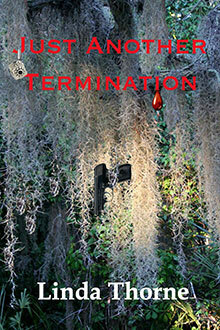 On March 18th I'll be at Barnes and Noble in Brentwood, Tennessee selling my book, Just Another Termination. I'll be there from 6:00 p.m. to 8:00 p.m. with other B&N authors. Friday March 18, 2016 6:00 PM Join us this evening as we welcome several of our local authors for a Meet & Greet from 6:00 to 8:00PM. Books will be available for pick up and autographing at the event. Authors attending include Anthony Boquet, Mark Cornelius, Beth Fine, Judy Gill, Cheyenne Reed and Linda Thorne. If you're in the area hope you'll stop by. If I have a surprise ending to the month of March, I'll let you know in my next post here in April. My March may go out like a lamb this year. We'll see. Labels: Just Another Termination, Kristen Elise., Lawrence Block, Life Out Loud, Linda Thorne, Murder U.S.A.
I’ve been happily self-publishing for a while, and love the sense of control it gives me over my books. There are few greater feelings than seeing a book which you have written, gone through multiple editing rounds with, had final say over the cover and worked with your formatter coalesce into a real book that goes out for sale and is the equal of any book published by anyone anywhere. There are few worse feelings than to realize now you have to publicize the book. Of course, this is not a problem specific to self-published authors. Over the past few decades every publisher has pushed more and more of the publicity chores off onto the authors until, unless one is a mega-best-seller, they do little more than list the books in some catalogues. 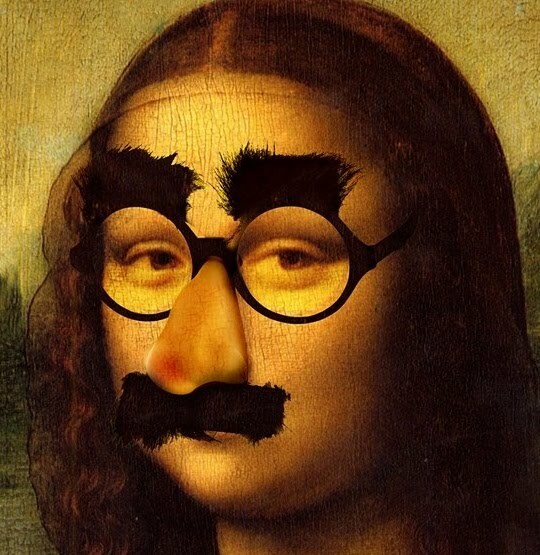 The more unknown you are, the more likely it is you will disappear, which means as an author you are pretty much responsible for your own publicity. I hate doing publicity. I would rather write two or three books than do the publicity on one. Unfortunately, I cannot afford a publicist, though I dream of having one. It’s the same with book signings – I love doing them; it’s almost like having a literary salon. But… there is the hassle of setting them up, and there are so few places now who will host them unless you pay them money for the privilege of doing so. Unless, of course, you are one of those mega-best-sellers. Them that has, gets! So – I know what I must do. 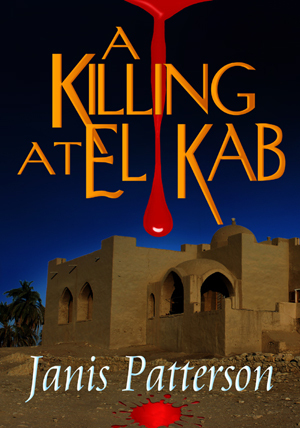 A KILLING AT EL KAB is now on pre-order at Amazon for the bargain price of $2.99. It will go up to the regular price of $4.99 on 20th March, the official release day. There will be a paperback, but that will be in a little while. Bet you saw that coming, didn’t you? 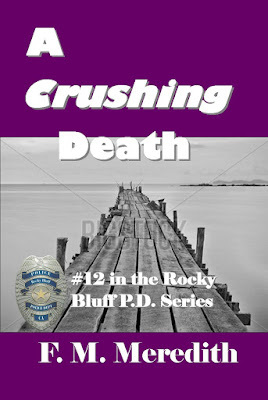 Yes, I'm talking about my next Rocky Bluff P.D. mystery, A Crushing Death. I've been gearing up my promotion plans which means I've sent out the marred cover everywhere, even made posters with it. I have other events later in the year including giving a class about Creating Memorable Characters which I'll be giving in the Porterville Art Gallery.We just haven't decided on a date yet. The only conference I'm attending this year is Public Safety Writers Association in July. And as a way to get readers interested in my Rocky Bluff P.D. 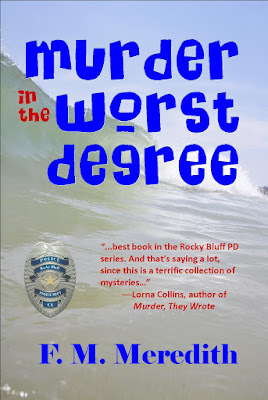 series, I'll be giving away Kindle copies of Murder in the Worst Degree from April 1 through April 5. Inspiration comes from unlikely places in the form of ears going ping, ping, ping and your fingers tingling as you reach for a pen or keyboard. Cherry Mattias, DVM, and I attended the Writers of KernSpring conference yesterday. Writers of Kern (WOK) is a branch of the California Writers Club serving Bakersfield and its surrounding communities. WOK provides a forum for published and aspiring writers to share ideas, hone their craft and encourage one another. The yearly conference held in Bakersfield, California brought together poet Matthew Woodman, mystery icon Anne Perry and Victoria Zackheim, and Bakersfield Californian columnist Lois Henry. All of the presenters, who are what you’d call professional writers, have thought deeply about the subject of voice or persona. With the exception of Lois Henry they speak of their love of their craft. What unified the three disparate speakers was an insistence on writing honestly and from the heart. Victoria Zackheim, a playwright, novelist, and writing teacher pushes her students in the UCLA Extension Writer’s Program to go deeper and deeper in writing the personal essay to heal the raw patches in one’s own soul. Anne Perry, author of 80 novels with 27 million copies sold, stated readers instantly spot insincerity. Zackheim and Perry are fast friends and speak daily, brainstorming plot ideas and spurring each other on. I’m sure I wasn’t alone in wishing I could be part of these conversations. Matthew Woodman, who teaches writing at California State University Bakersfield, skillfully presented a session on how to adopt a voice particular to a poem, drawing on the work of Carl Jung’s archetypes and the contemporary adaption of Jung’s ideas in the work of Carol Pearson. Voice and persona are airy ideas that sometimes feel ethereal. I was impressed and pleased at Woodman’s skillful explanation, illustrating the concepts with poems, one of them his own. I read a lot of fiction, a lot of crime fiction as well, and I sometimes forget how much I enjoy poetry’s concise evocation of feeling. I seem to need 300-350 pages to tell a story and here was Woodman’s poem in sonnet form updating the myth of Orpheus and Eurydice in Los Angeles. 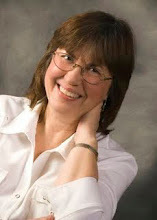 Lois Henry, who reports and writes and twice-weekly column for the local newspaper, claims to hate writing. Winner of major awards for journalism, she’s pressed often to collect her columns into a book. She can’t imagine anything worse than writing all day then going home to write in the evening, to paraphrase her remarks. A breezy and fresh voice in the afternoon of the conference, she focused on the nature of her craft which is to entertain and inform her readers with crisp, accurate, and economical prose. 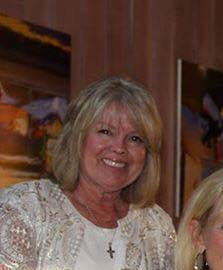 Cherry Mattias, DVM, my co-founder of the Bakersfield Sisters in Crime chapter, is a beginning mystery writer. We were there to not only learn from the presenters but also to drum up support for our fledgling mystery writers’ group. The group of about 75 eager attendees represented the range of the writing craft: creative non-fiction (memoir writing), romance, science fiction, local history, poetry—from beginners to seasoned professionals. Sadly there were few mystery writers. Nonetheless, it was an interesting and worthwhile day spent with engaging presenters which made me rush home to my computer to start writing my sixth Dave Mason mystery. Check out my new eBook. 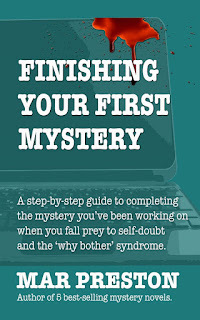 Don't fall prey to self-doubt and the Why Bother syndrome. I've found that writers need to engage readers, not simply enlighten and entertain them. Creating strong word images that readers can relate to is preferable to forcing them to fill in the blanks. For example, a military Hummer conveys a much stronger image than having a protagonist ride to the rescue in a Volkswagen bug. 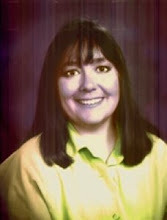 Sue Grafton's Kinsey Millhone was a notable exception. Do we really need adverbs? Not unless it's impossible to come up with strong verbs. Eliminate the adverbs in a second draft and replace them with muscular verbs. As for adjectives, the rundown house can be rewritten as a hovel or shack. That's why every writer should have access to a thesaurus, including an electronic one. Word choices affect the plot’s pace. If every symphony movement maintained the same pace, the audience would fall asleep before the finale. So writers need to think of themselves as conductors, controlling the pace with word choices, syntax and variety. Long sentences and paragraphs slow the pace and seem introspective while short, choppy sentences are much more dramatic and conducive to action scenes. So, in order to keep someone reading, sentences and paragraphs should vary in length. Labels: Making every word count by Jean Henry Mead. 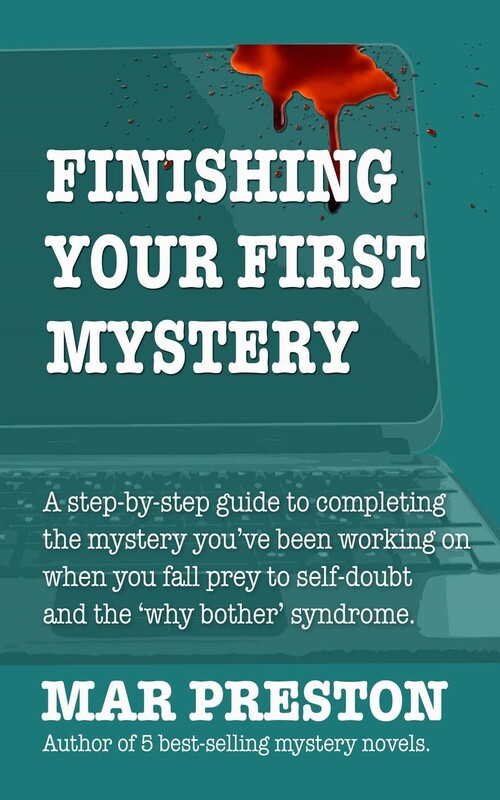 It’s been said before, but writing and launching a book is uncomfortably like having a baby. There is a considerable gestational period, followed by a protracted and unexpectedly painful effort to bring it into being. Then there are the anxious checks to make sure it is perfect followed by the seemingly never-ending concentration and work to do your best to set it up right in the world. About all the author misses is the diapers. I guess there are some things to be thankful for. And it doesn’t get any easier with subsequent books. Each is an individual effort and each must be handled in the way best for them. One thing is true for all books - and babies, for that matter - each is a heck of a lot of work. One of those trips was to Egypt, where we were invited to come stay at the excavation headquarters for an archaeological dig. The director – a dear personal friend - had long suggested that I might want to set a book in that fantastic house. And fantastic it was - terraced, domed, set high above the Nile – built in 1906 by an English Egyptologist named Somers Clarke. So, after our stay there and a lazy holiday in Luxor, we returned home and I started to work on A KILLING AT EL KAB. They say you aren’t supposed to have favorites among your children, and I guess that’s true, but it’s not possible with books. This one is special to me - not just because it’s a cracking good story, which it is - but because it brings back so many special memories. Now it’s just about time for it to go out in the world. I’ve agonized over the edits and rewrites, and driven my cover artist (the inimitable Dawn Charles of Bookgraphics) and formatter (the superb Rik Hall) half mad with my pickiness. I’ve sweated over the metadata and keywords, both of which I regard as toys of the devil. I’ve decided on 15 March as the formal release date - assuming that the proofs for the paperback edition arrive by that date - as that will make it a year since we departed for Egypt. And so my book - this very special book - is waiting offstage to go out into the world and try its wings. Please be nice to A KILLING AT EL KAB. You see, it’s my baby. 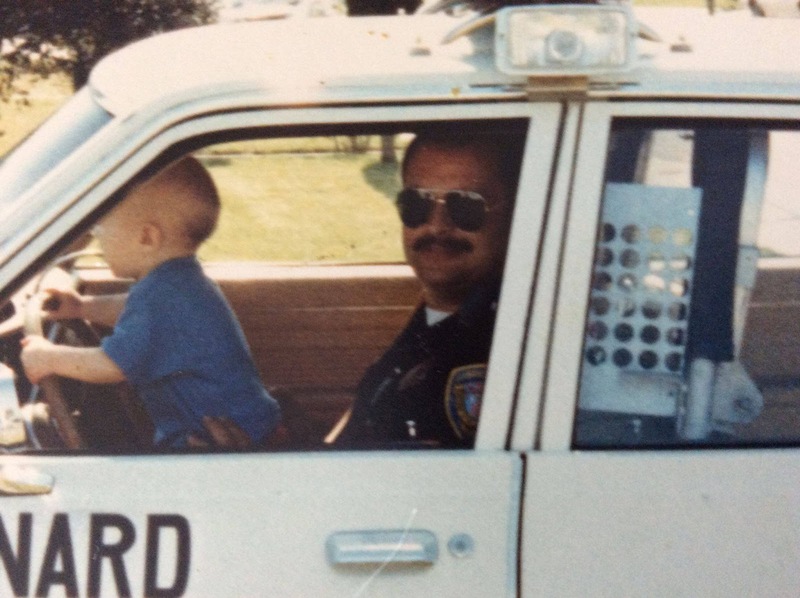 My son-in-law, Mike Cole, has been gone for 25 years now, killed in the line of duty. The above photo is him with his youngest. 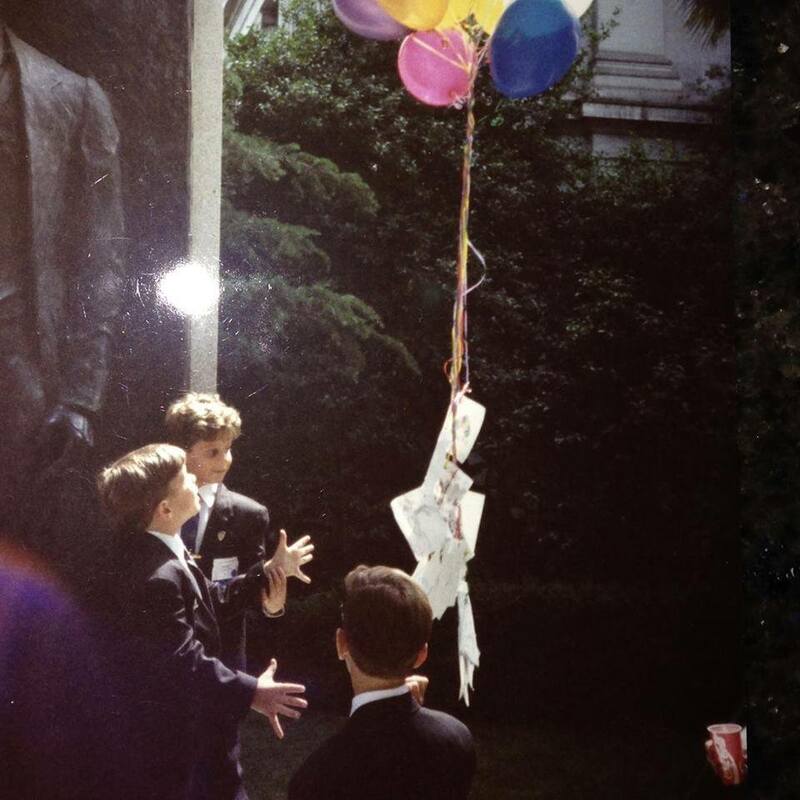 This was at his funeral where his sons are sending letters to him in heaven. The oldest is now a father and his own business. The middle one with the curly hair is following in his father's footsteps and is a police officer. The youngest is now fighting cancer. When Michael was a new police officer and newly married to my daughter, he'd come over for coffee after his graveyard shift and tell me what he'd been up to. He also took me on my first ride-along, and I was hooked. Been writing about law enforcement ever since. He was a great son-in-law, husband, father and police officer.